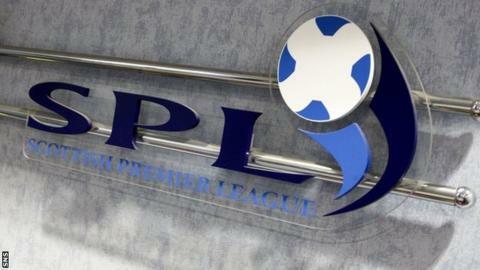 Scottish Premier League clubs will next week consider a proposal to change the league's voting structure. An 11-1 majority is required for major changes, such as re-distribution of wealth, and some clubs want all votes to be decided by a 9-3 majority. However, BBC Scotland understands up to three clubs will vote against the proposal, stopping any major changes. Should the motion be defeated, ongoing discussions over league reconstruction could be halted as a result. Those in favour of change are keen to achieve a 75% majority system before next month's vote on re-distribution of wealth and further talks over Scotland's league set-up. will be the first item on the agenda at Monday's meeting.